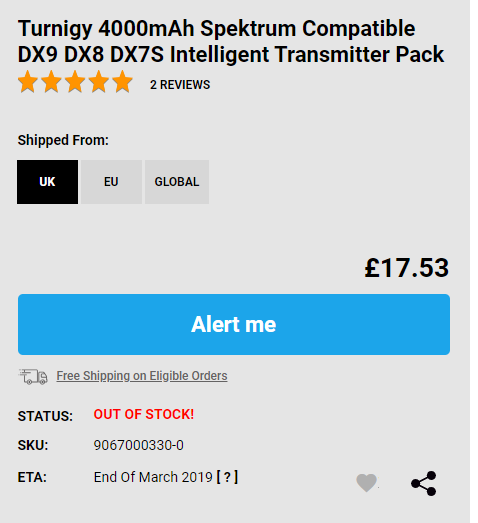 Can anyone give an opinion on the Turnigy 4000mAh Spektrum Compatible DX9 DX8 DX7S Intelligent Transmitter Pack compared to the original spektrum pack, also HK Could you confirm if this battery will be in stock again ? @Damien Wilson I use one and it works fine. When products are out of stock they can have the expected resupply date on the product page. In this case for the UK it is end of March.